Corporate eLearning Strategies and Development: Learning Music - Add your favorites! Learning Music - Add your favorites! Do you ever listen to music and hear a line in the lyrics that makes you think about Learning? Okay maybe its just me, but I hear a song like "Schools Out" by Alice Cooper... ...and I think about education. Alice actually lives in my neighborhood and he's a wonderful family man that is very active in the community. I have never met him personally but he has a great reputation as a philanthropist. His Christmas fundraiser Alice Cooper's Christmas Pudding is always a HUGE hit in Phoenix. 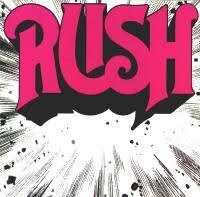 Or perhaps, you're a RUSH fan and listening to "Show, Don't Tell", makes you say to yourself "Yeah! Show me something. Don't just tell me about it!". I've started a Learning Music WIKI page at elearndev.pbwiki.com for everyone to add to the collection of Learning related lyrics and songs.